LoveCry The Street Kids' Org. Poverty in Canada is Abuse. LoveCry is a street-based non-profit organization whose mission is to raise awareness of abuse, in general, and the devastating consequences it has on our children, in particular. The organizations primary focus is to bring to the forefront the plight of homeless youth - street kids- by educating and informing the public as to why these kids end up on the streets. As well, the organization provides assistance to teenagers who fall through the cracks by approaching their issues in an entirely different spectrum. We believe, as evidenced through education, personal experience and numerous in-depth studies, and in consensus with both experts and the street kids themselves, that children leave their homes and take to the streets primarily because of abuse in the home. 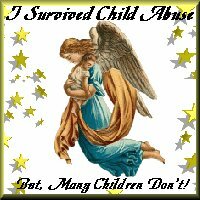 Abuse takes many different forms, verbal, physical, sexual, emotional, psychic, ritual and spiritual, amongst many. What is certain is that no child leaves a home where they have felt love and acceptance. Poverty is a by-product of homelessness, not the cause. LoveCry consists primarily of individuals who have themselves experienced homelessness and abuse and have successfully met the challenge of changing their lives. They combine the expertise of their education and life experience to establish a unique and profound rapport between themselves and the kids, and form the trust and the support that is a necessary foundation to the rebuilding of self-esteem. We also believe that conventional methods have been notoriously unsuccessful, and in fact, have contributed further to co-dependency in some youths and the alienation of others. We believe through mutual participation with government and non-government youth service organizations, solutions can be found. Information, education and a serious determination to promote understanding of the root cause of homelessness, is our objective. We advocate as the voice of abused youth and articulate our conviction to represent the truth. We can all assist them in their journey towards positive self-esteem and a life of fulfillment, joy and meaning. They are our future; they are a reflection of us. LoveCry is Non-Denomination in our Religous beliefs. All are encouraged to practice their own personal or family beliefs regarding RELIGION, as we believe All Gods Are One! We work with all homeless and abused. Being a Part of the Homeless and abused community personally and having survived the hells we have we know we have a great deal to offer other. "Sometimes it can be difficult to find others who are truly in need of help, and reach out to that person." We know that Love Is The True Healer and it is the most important componant of any Healling especially Healing within the Mind,Heart and Soul. LoveCry is glad to link with others who wish to Help Stop Abuse and Homelessness. about Europe? Add it now!